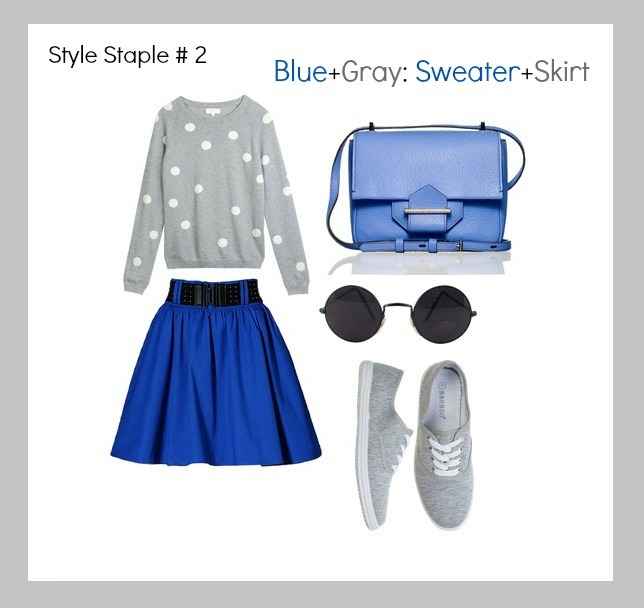 Blue and gray has been a pair of colors that blends with each other. Maybe because they came on same pantone. 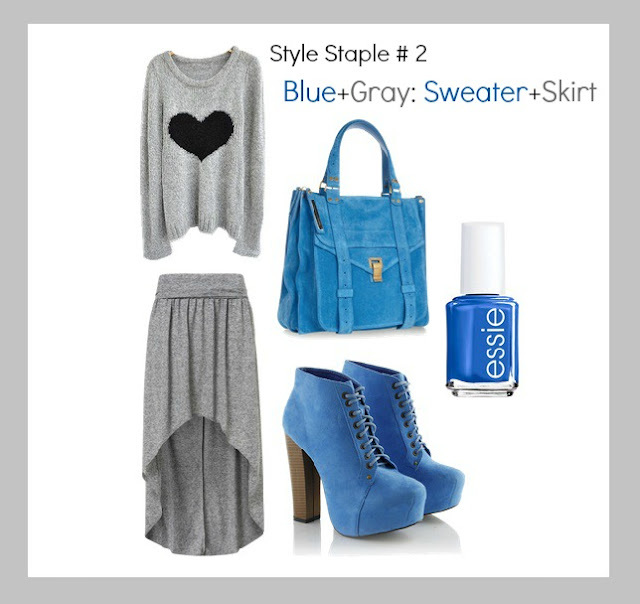 On today's style staple, I'm gonna show you 3 ways to rock your sweater and skirt combo in these 2 colors. My style is basically comfort-pro so don't be surprise if I opt to wear flats/ sneakers than the known classic stiletto or pumps. I would but for special occasions only. 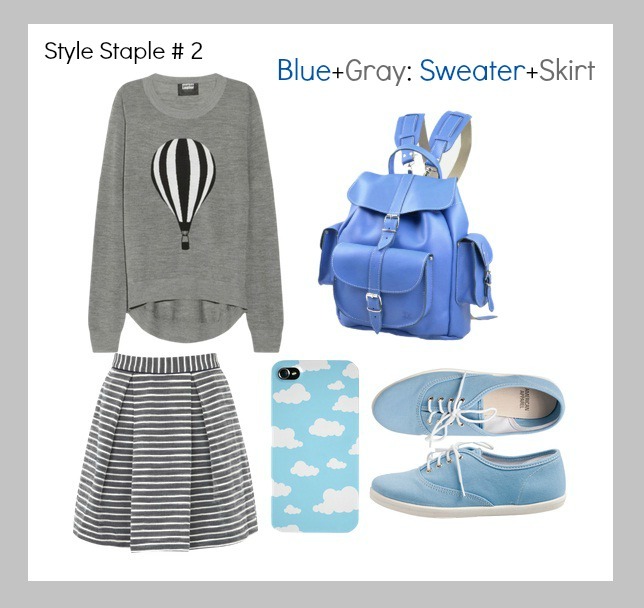 The style that I will show on my Style Staple episodes will be wearable for everyday. yesterday I wore mint (and its resemble blue right) and grey! I find myself wearing the third look! Really cute! I adore the color combination!